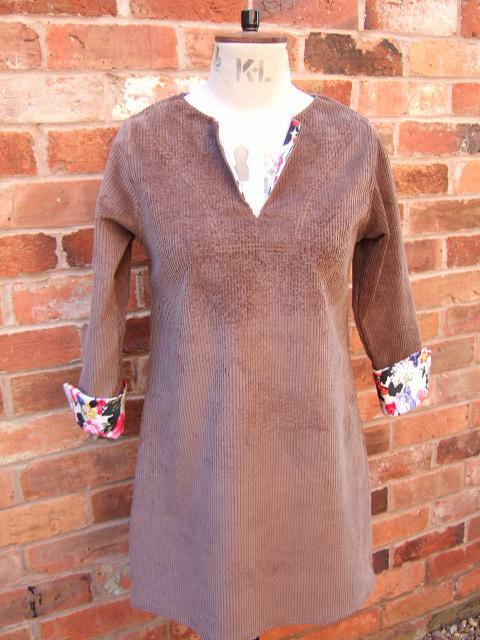 Light Brown Cotton Corduroy Relaxed shaped Tunic Dress with a three quarter length sleeve. 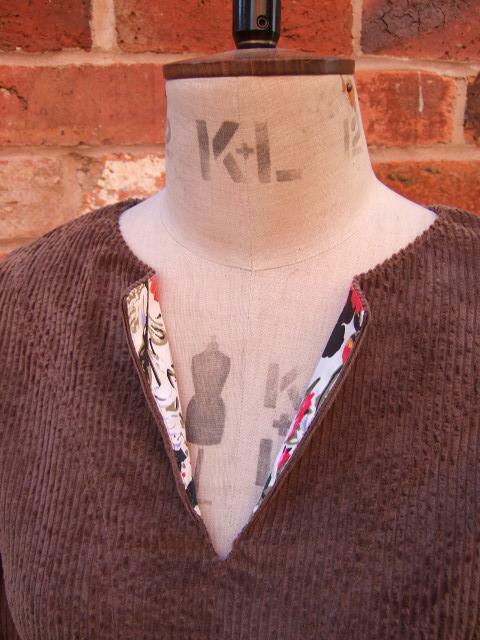 Longer rear panel with curved bottom hem. Flower print Reversible cuff sleeves. 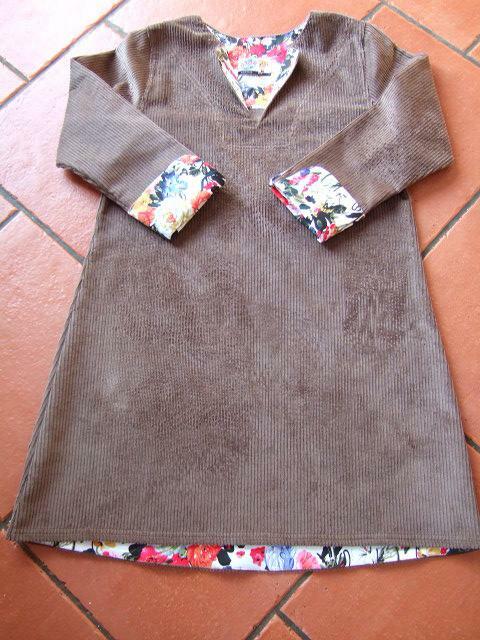 With same Flower print detail to neck yock and inner back neck, bottom back hem. Soft cotton fabric with just the right amount of natural stretch. Really comfy and always returns to shape. Great with your leggings or a pair of jeans.